C&R provides full service design/build. Simply put, this means we take care of everything including ideas, options, design, planning, construction and completion. Our streamlined process takes the guesswork out of remodeling. We listen carefully as we collaborate on design, project scope, investment options, and styling. This allows us to deliver a result that perfectly suits our client’s personal lifestyle and tastes. C&R professional services include kitchen & bath remodeling, whole house renovations, back yard living areas, garage construction, decks, patio covers, and more. Since 1961, C&R has led the Willamette Valley construction industry with innovative design and progressive construction systems. Along with our unparalleled commitment to customer care, C&R clients have the best in front-end and follow-up service. DreamMaker® Bath & Kitchen is a full-service interior home improvement company that specializes in bathroom and kitchen remodeling for homeowners throughout the United States. Here at DreamMaker, we believe our remodeling projects do more for our customers than simply improve the look of their homes. Our work enhances our customers’ lives by providing them with a home that’s more comfortable and better suited to their functional needs both now and for many years to come. DreamMaker Bath & Kitchen is a company of independently owned and operated remodeling franchises. 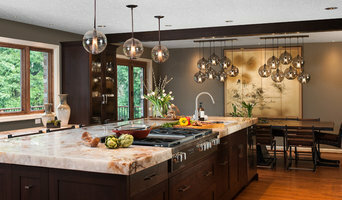 Our national presence gives our company a unique strength in the marketplace, and our local franchises offer one-on-one attention and commitment to providing clients the highest standard of quality for bath and kitchen remodeling. *Authorized Canyon Creek Cabinet Company Dealer* *Authorized Dynasty Omega Dealer* *Authorized Medallion Cabinetry Dealer* *Signature line of Cabinetry- Cabinets in a week for house flippers and all. 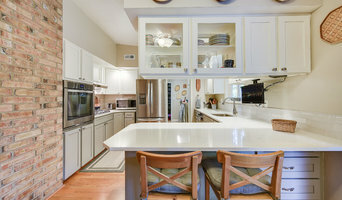 * * Fully Custom Cabinetry- European design construction. 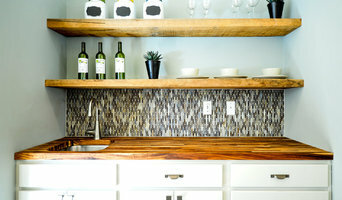 * We're a small, hard working team, providing design service, building materials and remodeling services. We've been servicing Oregon homeowners, remodelers and builders since 1994. We pride ourselves in maintaining a high level of customer care, treating every customer with the attitude of "The Golden Rule". We endeavor to give every client and every project our personal attention. 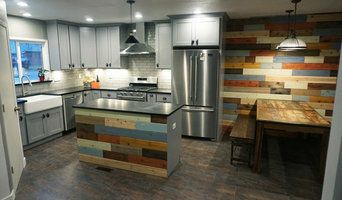 We are licensed general contractors with the Oregon Construction Contractors Board. Our showroom and office is located in Beaverton Oregon, although we've shipped cabinetry and other products as far as Guam, Hawaii, California and of course all over Oregon and Washington.